Property abroad – what attracts buyers? Most clients buy property abroad with the aim of personal use and possibly further rental. Approximately half of these clients have an exact idea of their desired region (e.g. France, Cote d´Azur). The other half have only a general idea (e.g. near the sea) and after consultation we agree on a suitable locality. There is mainly interest in properties in the lower and medium price bracket of approximately EUR 100,000 – 250,000. 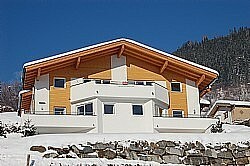 For instance, in Austria one can buy a small apartment in a ski resort from around EUR 60,000. 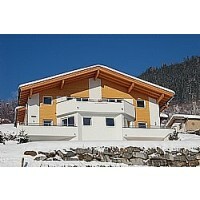 Even so, there is also a richer clientele here, able to invest several million Euros or dollars. Clients exist who have bought several properties abroad – one in Europe by the sea, another in the Alps and a third in the Caribbean. We have recently noted interest among businesspeople in boarding houses (pensions) and hotels abroad. These business people then either continue to develop their enterprises or else close down their business enterprises, wanting to start up something different abroad. We have also noted increased interest from several firms which buy apartments by the sea for recreation of the management and staff or their business partners. A special, growing group is made up of golf enthusiasts who buy property in the vicinity of golf courses in warm climbs – ideally by the sea. For the meanwhile only a small section of the clientele is made up of investors who are primarily interested in appreciation of their investments and are not really interested where the property is located. We suppose, however, that this group of buyers is going to increase gradually. Such classic investors often consider investment into foreign properties as an opportunity to broaden and diversify their investment portfolio.